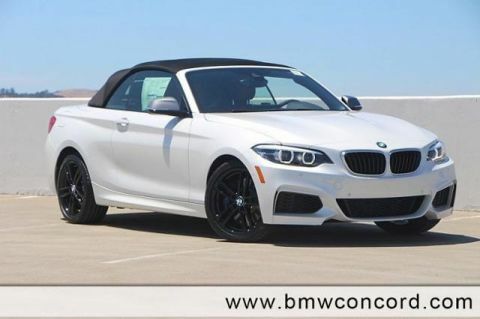 Only 6 M240i Convertible models left in stock! Heated Seats, Nav System, Onboard Communications System, Keyless Start, Dual Zone A/C, iPod/MP3 Input. M240i trim, Mineral White Metallic exterior and Coral Red Dakota Leather interior. FUEL EFFICIENT 30 MPG Hwy/21 MPG City! READ MORE! Back-Up Camera, Turbocharged, Satellite Radio, iPod/MP3 Input, Onboard Communications System, Aluminum Wheels, Keyless Start, Dual Zone A/C Keyless Entry, Steering Wheel Controls, Rollover Protection System, Heated Mirrors, Electronic Stability Control. PREMIUM PACKAGE Heated Front Seats, Navigation System, Remote Services, Advanced Real-Time Traffic Information, Instrument Cluster w/Extended Contents, Heated Steering Wheel, harman/kardon PREMIUM SOUND SYSTEM vehicle-specific equalization and powerful 600-watt amplifier, 16-speaker system includes 6 tweeters, 4 midrange speakers located in door panels and 2 midrange speakers located under the rear shelf space, 2 bass speakers located under the front seats, 1 midrange center channel speaker and 1 tweeter located in the instrument cluster, PARK DISTANCE CONTROL Parking Assistant, TRANSMISSION: 8-SPEED SPORT AUTOMATIC (STD). Approx. Original Base Sticker Price: $57,600*. 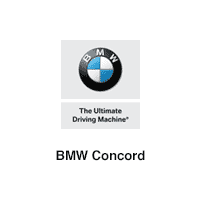 Welcome to BMW Concord, a great source of quality vehicles! Serving Contra Costa County, Solano County and Napa County; Northern California residents for over 30 years! Come experience our praise-worthy customer service, and excellent selection of some of the best BMW vehicles you can find. 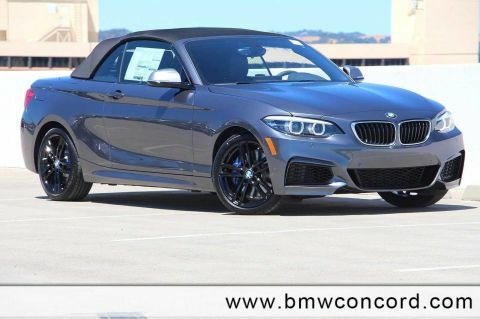 We keep a large inventory of new and used BMWs, so we are bound to have the perfect one for you. We look forward to serving you! We’re conveniently located just minutes from most Bay Area Cities. 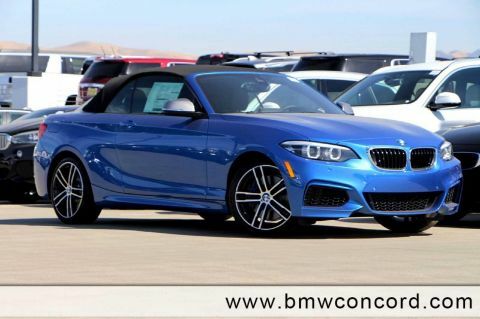 We have one of the Bay Area’s largest selections of new and pre-owned luxury BMW inventories. 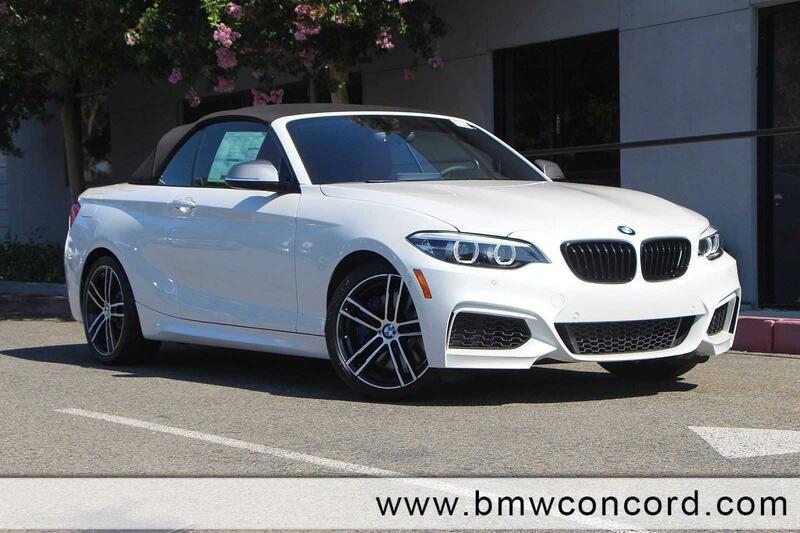 BMW Concord is here to serve all your BMW Sales, Service, Parts and Collision needs in the East Bay area. We know that you have high expectations, and as a car dealer we enjoy the challenge of meeting and exceeding those standards each and every time. Allow us to demonstrate our commitment to excellence! New vehicle pricing includes all offers and incentives. Tax, Title and Tags not included in vehicle prices shown and must be paid by the purchaser. While great effort is made to ensure the accuracy of the information on this site, errors do occur so please verify information with a customer service rep. This is easily done by calling us at (888) 707-2860 or by visiting us at the dealership.